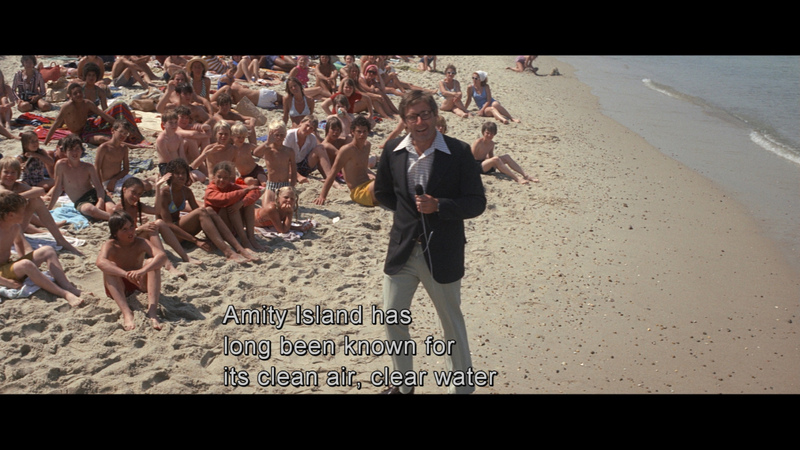 It is hard to imagine the impact that “Jaws” had on its audience back in ’75, but more than any other film to date if affected the actions of normal rational adults, who normally wouldn’t think twice about taking a dive on a hot summer day, but suddenly were cautious about bathing. Even in remote countries as Denmark, people thought twice about entering the water, out of fear for a sudden shark attack. 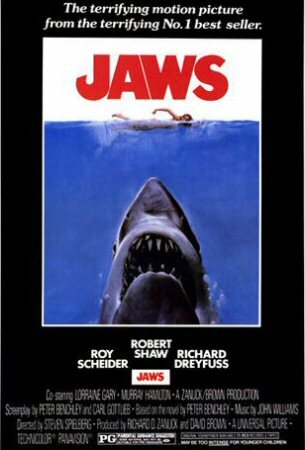 For centuries sharks have been associated with death and seen as a vicious killer and the script uses this to full extend and paints a picture of a monster of supernatural proportions more related to the tales of the ancient mariners than of modern accounts. 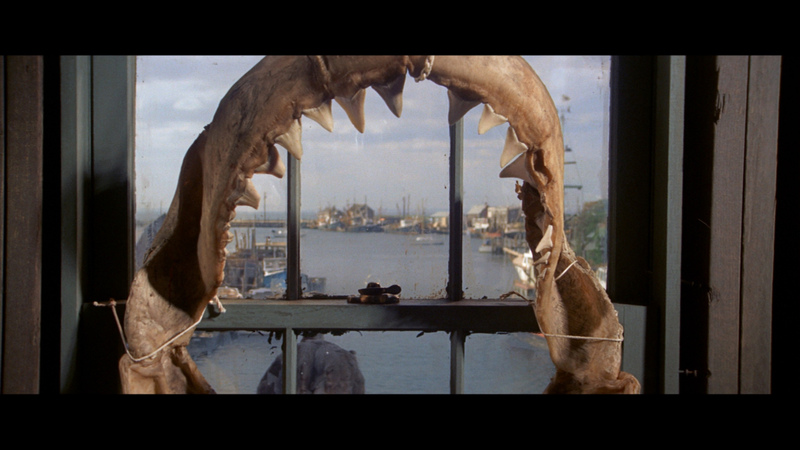 “It will swallow you whole”, says Quint, who as Ahab has a personal hatred towards any shark and who, as Ahab, eventually falls victim. 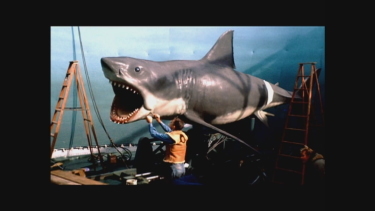 More than just painting a picture of a rogue shark, Spielberg transfers the image to mythology. 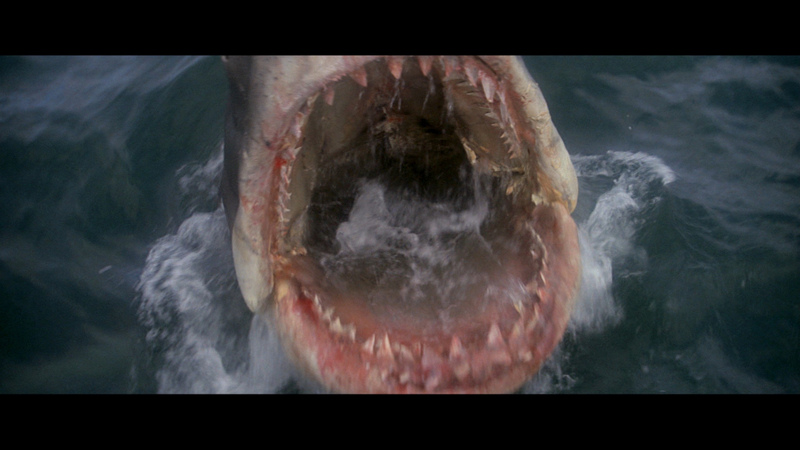 This is not just a shark, this is the essence of all sharks, which further is stressed by Quint’s Ahabian persona. 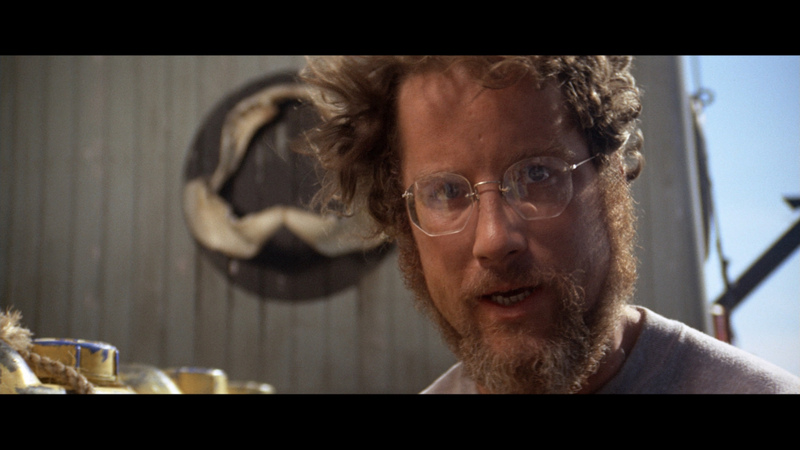 The connection to Ahab is further stressed by the name of his boat, Orca (meaning whale or vessel), and by Quint's harpooning rifle. 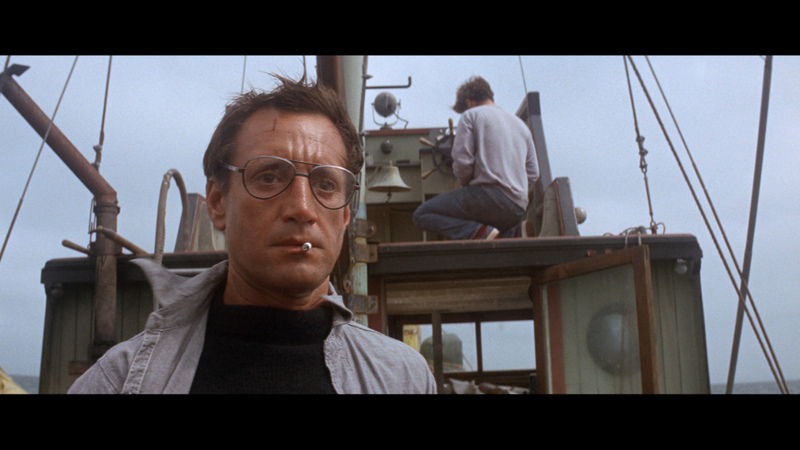 In essence this is Hitchcockian suspense theory at its finest and Spielberg knows how to play it. 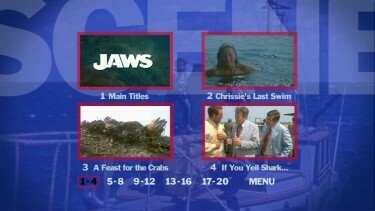 Notice in the beach opening sequence, how Spielberg constantly puts out false hints, only to camouflage the real forewarning: Skippy the dog suddenly is missing, indicated by the calling of his owner and by the index of the stick, allowing us a moment to realize that the dog has been eaten by the shark, and as we do, to let the dum-dum theme begin and cut to the sharks point of view. 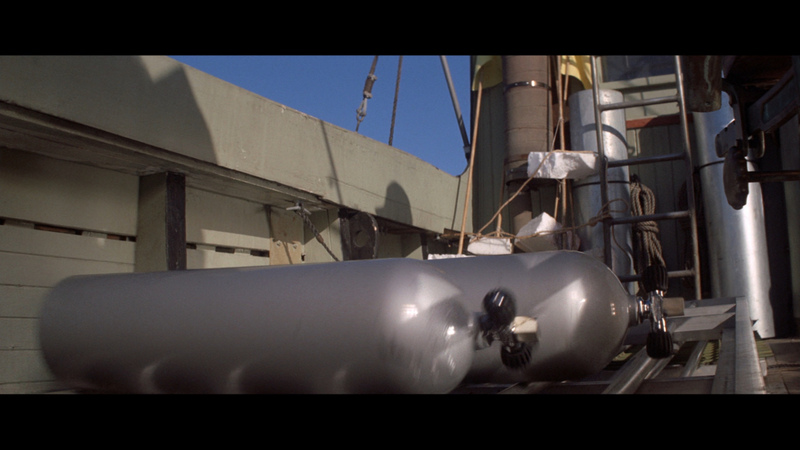 Not only does Spielberg demonstrate perfect control of this mechanism, he even pays additional homage to Hitchcock by creating his vertigo effect. 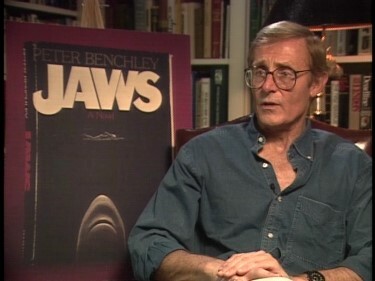 It always helps to have a great story, and “Jaws” is one of the greatest, but it also helps a lot to be a great storyteller and director, who knows what strings to pull. 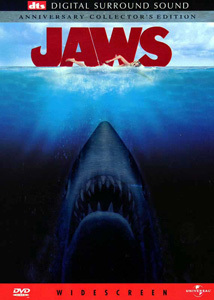 The characters in “Jaws” are perhaps more important to its success than the shark and the mythology that follows it. Brody, with whom we most easily identify, is little by little introduced to what its all about, and functions as a translator for the audience. 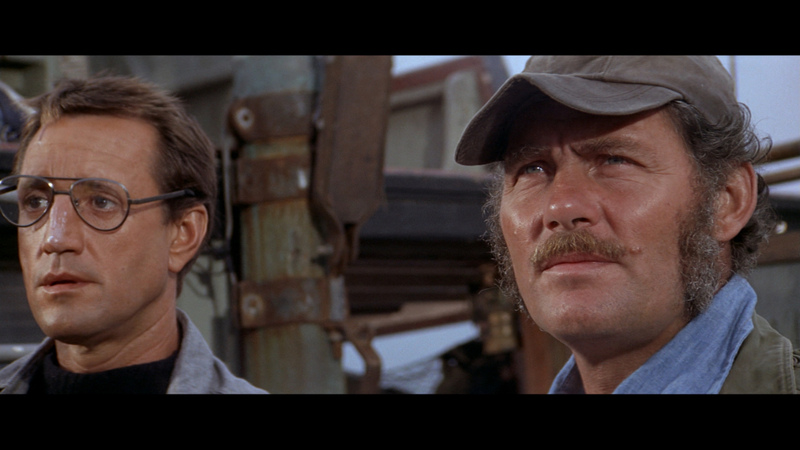 But the central character is Quint, as our fear makes it easy for us to accept his hatred, even more so after the Indianapolis monologue, after which not only the characters are bonded, but also “we” the audience: From then on its “us” against the shark, “our” fear. 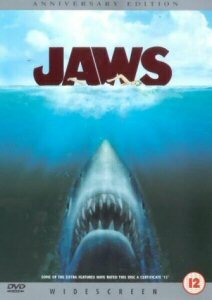 Supported by perhaps the most recognizable score ever, “Jaws” changed cinema forever, becoming the first block buster and making the summer quarter the central release period and made Spielberg into the hottest talent around. 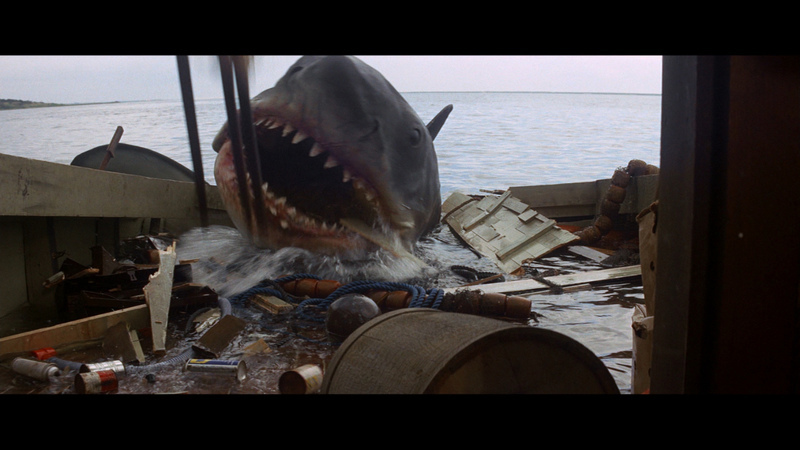 Today, thirty years later, “Jaws” still is as effective and as inviting as it was originally, and is, alongside “King Kong”, amongst the greatest monster films ever made. Big thanks to Maarten de Haas and Henrik Sylow for the DVD Screen Caps! 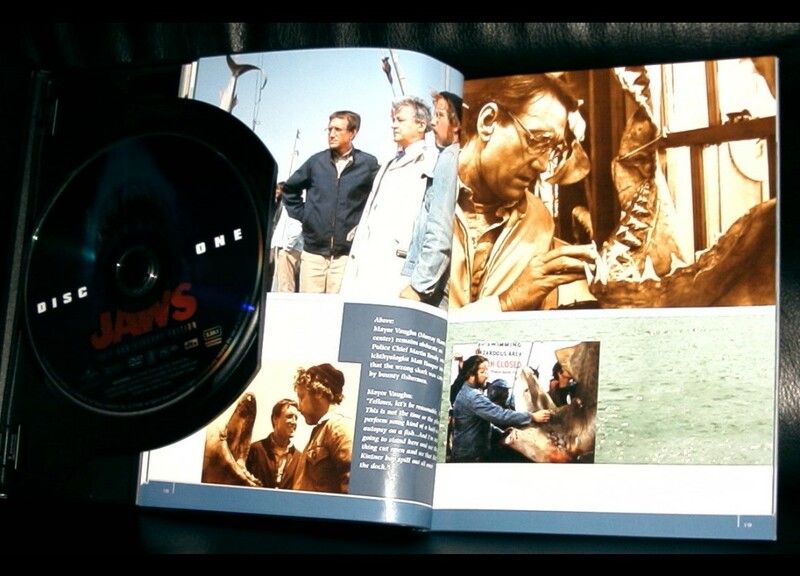 • The Making of Jaws For the first time ever on DVD, viewers will get a complete glimpse into the making of Jaws with this 2-hour documentary. 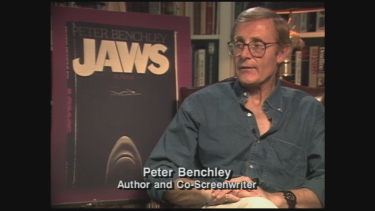 • From The Set An insider's look at life on the set of Jaws, featuring a never-before-available interview with Steven Spielberg. 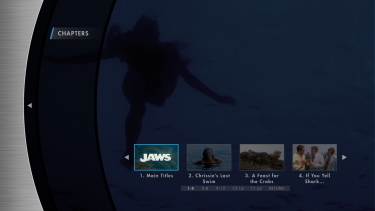 • Jaws Archives Take a peek inside the Jaws archives including storyboards, production photos, and marketing materials, as well as a special segment on the Jaws phenomenon. 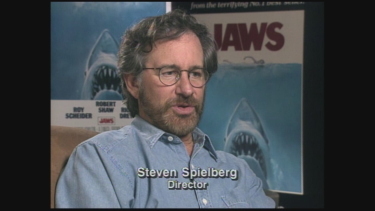 • From The Set An insider's look at life on the set of Jaws, featuring a never-before-available interview with Steven Spielberg (8:56). 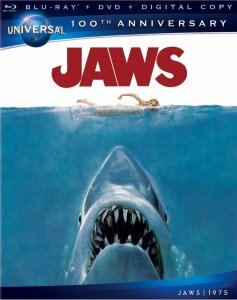 ADDITION: Universal - Region FREE - Blu-ray (August 2012): Universal have really made up for the previous weak, greenish, DVDs with a wonderful restoration for Jaws. The fear was over-digitization, but aside from some very infrequent waxiness - this looks like a huge triumph. Colors are more vibrant and true, details rises, skin tones warm and move from their 480 orange hue. Contrast is subtle and not overbearing on the image (an easy thing to do in restoration), artifacts that plagued the SDs have been removed - as shown in the included featurette. Depth is rare but exists. I think most viewers will be highly impressed with the resulting 1080P visuals housed on a dual-layered Blu-ray disc with a solid bitrate. Audio is equally improved with a strong DTS-HD Master 7.1 at a whopping 4893 kbps. The separations have aggressive tendencies and subtle mixes are appreciated. 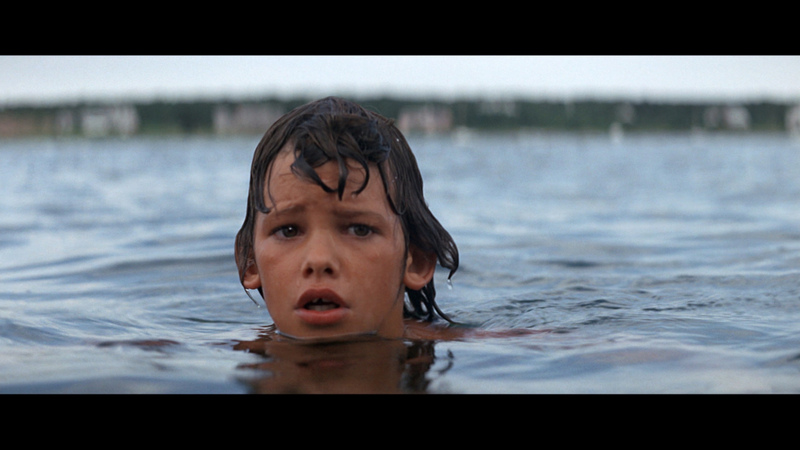 John Williams score never sounded more dynamic and builds the tension as the film progresses. Depth is seething in its power which, when tested, thunders to life, but in a restrained expression. All good. 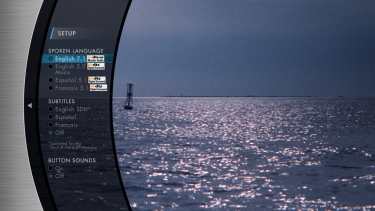 There are optional subtitles on the region FREE disc. Supplements also go the extra mile. 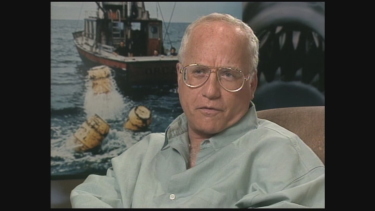 We get the full 2-hour, and excellent, The Making of Jaws documentary as found on the 2005 Anniversary DVD. It is worth re-watching - even in 480i. 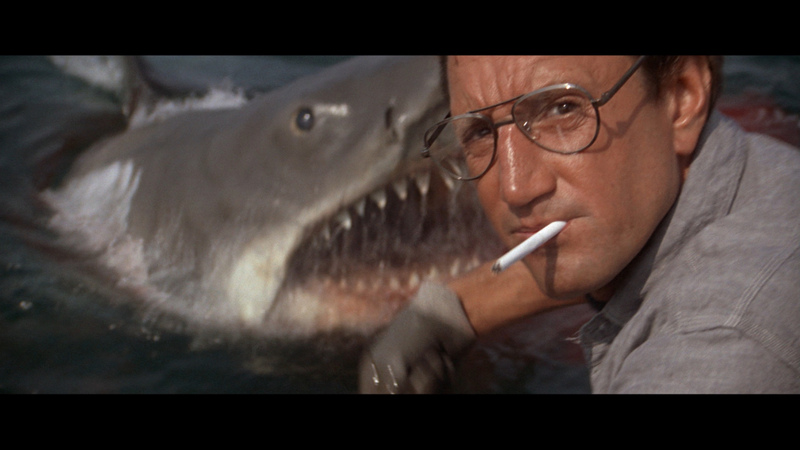 I also liked the 10-part The Shark is Still Working: the Impact and Legacy of Jaws that runs a lasting 1 3/4 hour. 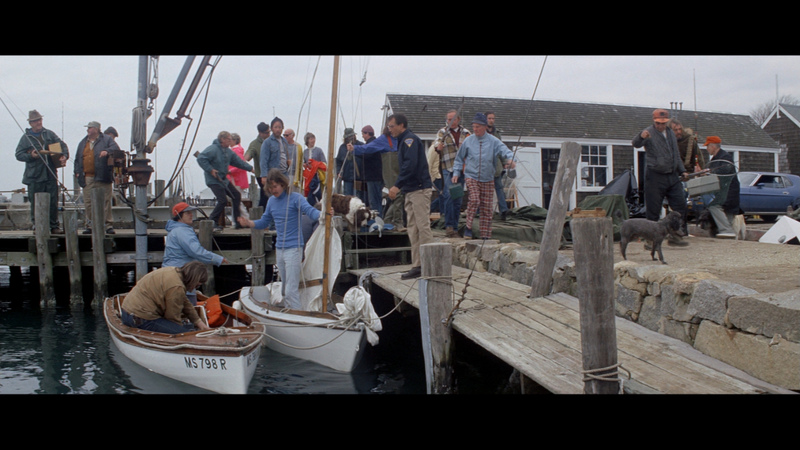 New is an interesting piece on the restoration - lasting 8.5-minutes and the previously seen From The Set: An insider's look at life on the set of Jaws, featuring a never-before-available interview with Steven Spielberg and the Deleted Scenes + Outtakes that run shy of 15-minutes. 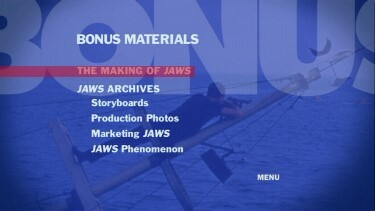 The Jaws Archives take a peek inside the Jaws production files including storyboards, production photos, and marketing materials, as well as a special segment on the Jaws phenomenon. There is a trailer - also only in SD. 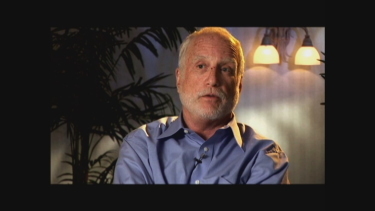 The disc is My Scenes capable as well as Ultraviolet and Digital copies on a second disc. 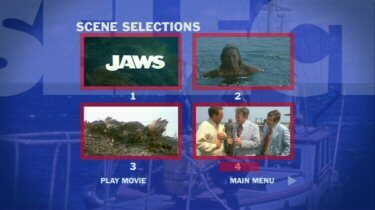 The massive legions of Jaws fans will be very pleased with this incredible Blu-ray - highly impressive a/v and bonus extras. One of the better packages of the year to date. Strongly recommended! 2) More extras in total on the 30th Anniversary as there is a 2nd disc with a new full length documentary. 3) More audio options (5.1 , DTS and original mono) in the new 30th as well as two 5.1 Dubs. 5) Clearer and brighter font subtitles in the 30th Anniversary edition. 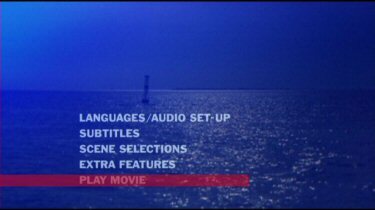 BOTTOM LINE: Although the image still has a slim black border on the right and left edges (hindering full horizontal resolution) and the artifacts remain as prevalent - the package is an appealing purchase as well as for those keener on 5.1 than DTS (playability). The feature documentary in the 30th extras is quite good and the commemorative journal is stunningly beautiful - one of the nicest extras I have ever seen in a DVD package. You can buy now of wait for another 5 years - it will be in HD by then... or maybe even 3-D, probably the same transfer flaws though. Comments on the first 2 in the comparison (25th Anniversary editions): By today's standards, these DVDs are not up to par. 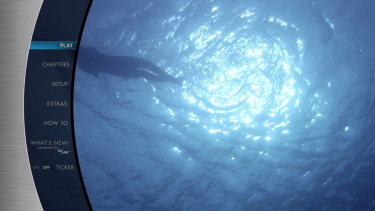 The image is grainy, lacks sharpness in details, and there are several places throughout the film, where artifacts is so visible, it almost looks like birds in the sky (look image #2). 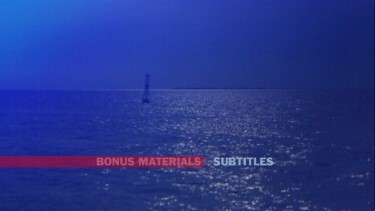 Sadly all editions lack the original mono track, which had a unique sound mix. 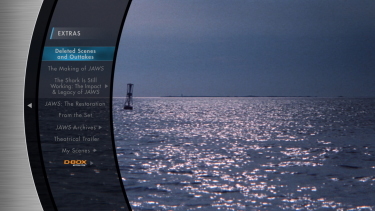 The 2.0 DD surround is very centerbased, but is no match. 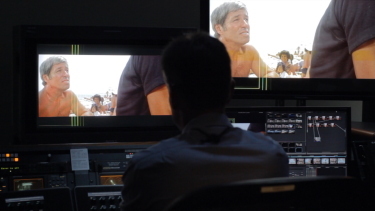 The choice between 5.1 DD and DTS goes clearly to the DTS track, which is very impressive. The DTS LFE is tight and especially the score comes to full effect here. The biggest disappointment about this anniversary edition is however the butchering of the documentary, which originally appeared on the laserdisc in 2-hour length, but for the anniversary DVD was edited down to 50 minutes. However, this is still, even in its reduced length, one of the best documentaries made. Wishlist for the 30th anniversary edition in 2005 would be a 2-disc edition with the original mono track, a remastered version of the film and the original documentary restored. In short, We gonna need a bigger DVD. JAWS - When Universal released JAWS, they knew the book was a hit, but had no idea the film would be the most commercially successful natural disaster film since Alfred Hitchcock's THE BIRDS, another Universal release. 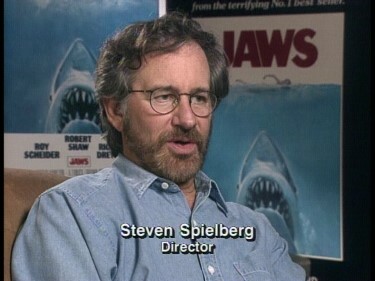 Since Spielberg was using the Hitchcock playbook at the time, that makes sense. 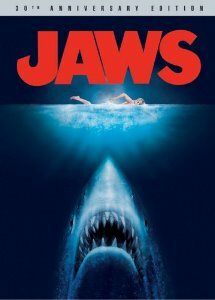 Now that Spielberg's WAR OF THE WORLDS is due out, the darkest commercial action film he's made since the JURASSIC PARK films, it makes sense for a more complete JAWS to finally get issued on DVD. The uncut original documentary will no longer be held prisoner on the 12" LaserDisc box set and the great DTS remix is included. 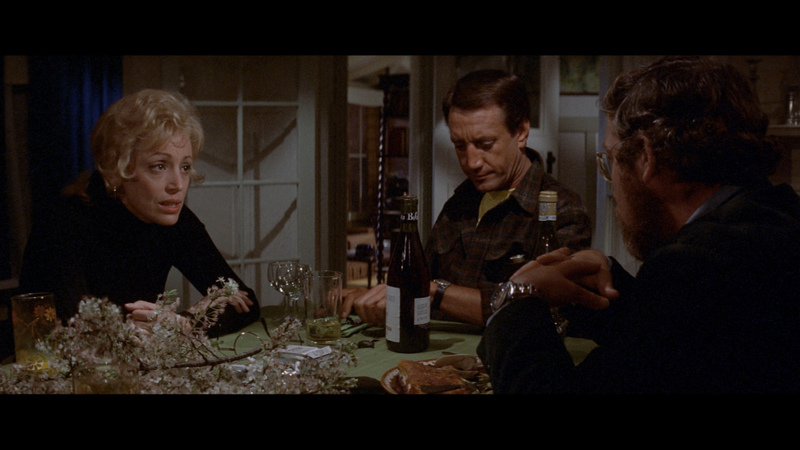 The picture has also been restored, as shot by the unsung hero of the film, cinematographer Bill Butler. Butler was in his prime in the 1970s, previously working with Spielberg on his haunted house telefilm SOMETHING EVIL starring Darren McGavin, which has not been out since an early VHS edition. 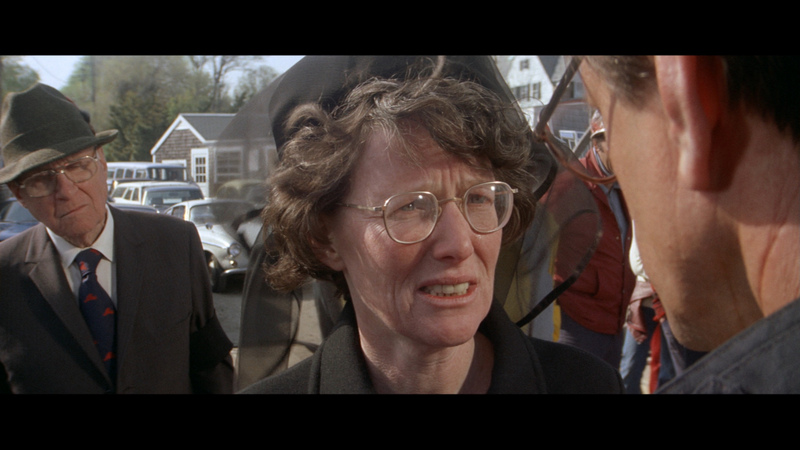 He later shot the great police action drama HICKEY & BOGGS, Francis Coppola's brilliant THE CONVERSATION, creepy Sci-Fi flick DEMON SEED, underrated sequel DAMIEN: OMEN II, megahit GREASE, hit thriller CAPRICORN ONE and camp classic CAN'T STOP THE MUSIC. 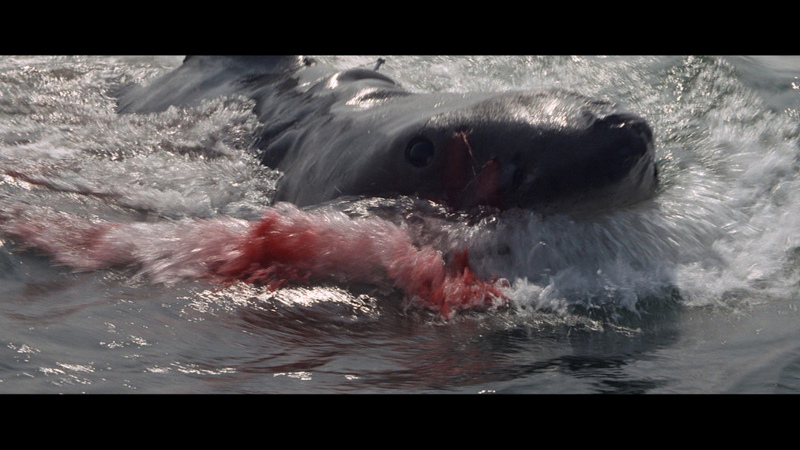 They all looked great and were shot exceptionally well like JAWS. Maybe a DTS DVD release of SOMETHING EVIL is in order, like DUEL. 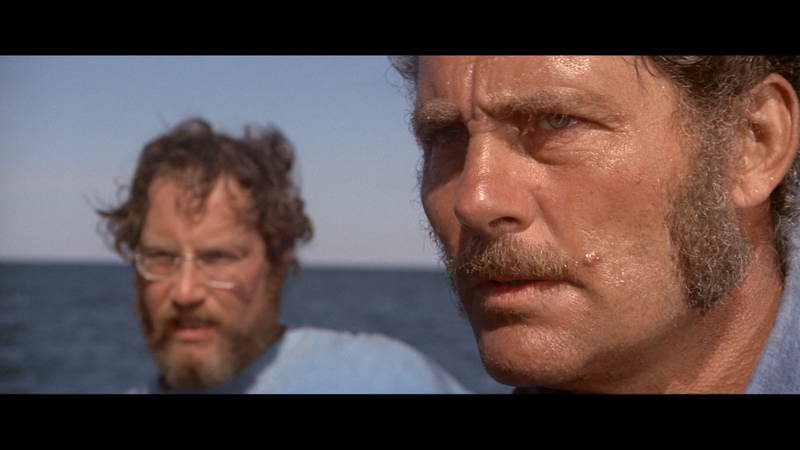 The new JAWS DVD looks as good as any of them, restored and looking like it did in 1975. Commemorative Photo Journal from 30th Anniversary version - CLICK to enlarge!